Locally assembled in South Africa, designed to cope with African conditions. 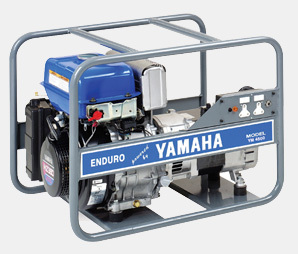 This robust generator is housed in a fully protected pipe frame and is powered by the legendary Yamaha MZ300-K2-50 engine coupled to a SINCRO alternator producing world-class power for when you need it. The YS4500 is ideal for agriculture, construction sites and artisans working on site. Fuseless type to protect the circuit against overcurrent.